Offshore collection, replacement watch bands with double notched integrated strap characteristic are custom made for Audemars Piguet Royal Oak Offshore Chronograph 44mm models. Semi-remborde style using rebel leather with large camouflage pattern unevenly distributed. 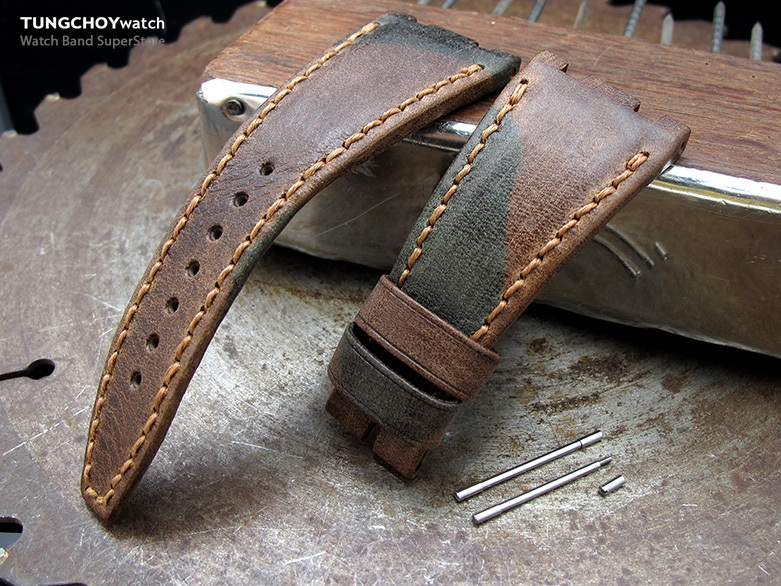 Each piece of watch strap becomes unique. Item included 1 pair of screw-in lug bars/ pins. Important : not compatible with models of stainless steel band & redesigned cases of ceramic bezel and chronograph pushers. 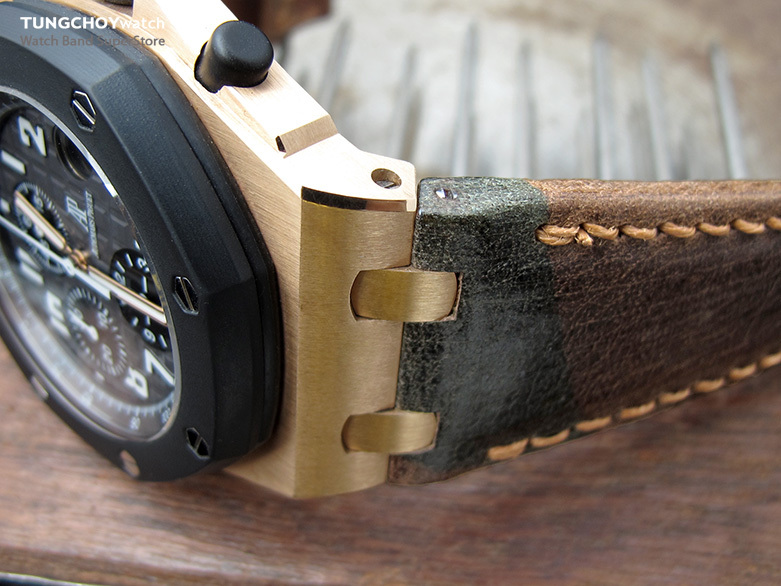 This is an aftermarket watch band and is not an official watch band of the Audemars Piguet.